It is very important to find the right studio for your child or yourself. We always want the best education, but when it comes to dancing, many feel choosing a dance studio is not as important. Going down the street to the nearest studio is easy and convenient but may not be the best decision. Checking out dance schools for the quality of their teachers, their accreditation, class size, and price are paramount. The most important element in a dance studio is the teaching staff. Look for teachers who are accredited through dance accrediting organizations. These teachers have credentials behind them as they have been tested and approved. Look for teachers who are concerned about teaching proper technique not just steps in dancing. Good technique can make or break a student. Remember, you get what you pay for, so less isn't always better. 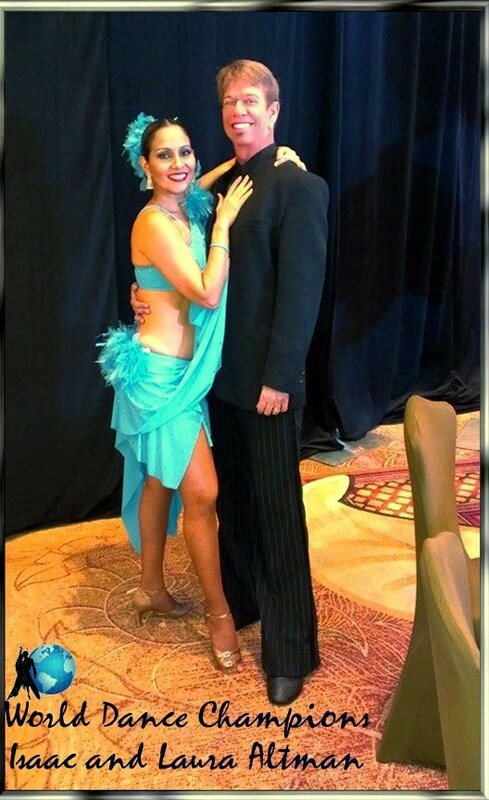 Although Laura and I are known for Salsa, winning the World Championship, we have been award winning DanceSport competitors and teach other styles of dance as well, including Cha Cha Cha, Rumba, Samba, Waltz, Bolero, Tango, Paso Doble, Swing, Merengue, Bachata, Jive Foxtrot, Viennese Waltz, Disco, and much, much, more! We are proud to coach several World Champions, including the World Junior Latin Champions, the World Merengue Champions, the World Junior and Youth Salsa Champions, the World Junior and Youth Showdance Champions, and the World Tango Champions to name a few. We have trained more dancers in Ballroom dancing for "So You Think You Can Dance" than any other studio in Florida including season 5 winner Jeanine Mason. We brought Ballroom and Salsa to the AAU Junior Olympic Games and were their first directors. Founded in 1987 by Isaac Altman, the International Dance Studio is backed with 45 years of industry experience by Mr. Altman alone! International Dance Studio provides top-notch dance instruction by top-notch instructors who have experience with beginners through professionals along with great customer support, a combination that can't be beat! Through our commitment, experience, and expertise International Dance Studio has established a business relationship with our customers that will last a lifetime! 2000 IDO World Salsa Championships from Isaac Altman on Vimeo.